Discussion in 'News' started by Caleb Houser, Jan 8, 2016. It's the offseason for Ohio State football, which means the staff will have their full attention on filling the remaining spots for the 2016 class and building the 2017 framework. With the 2015 season finally completed, Urban Meyer and staff finally have time to focus solely on recruiting and finishing up the 2016 class. With 18 current commits and most likely five spots remaining for the Buckeyes, look for the remainder of the class to shape up soon. Of course, needing to fill spots in 2016 hasn't stopped the staff from looking ahead to 2017, either. The Peach State has been very good to Ohio State when it comes to recruiting. With past and current success in Georgia, Urban Meyer and staff went back to the wishing well and offered 2017 defensive tackle prospect Emmanuel McNeil. McNeil, of Lawrenceville, GA, attends Central Gwinnett High School, and has seen his recruitment really take off lately. It's easy to see why. The 6'3, 280-pound defensive tackle in the last month has seen offers from Florida, Florida State, Kentucky, Wake Forest, and as of yesterday, Ohio State. To go along with his recent offers, Emmanuel also owns offers from LSU and Mississippi State. Oddly enough, the home team Georgia Bulldogs have yet to throw their hat into the ring, but with new head coach Kirby Smart, look for him to try and keep Georgia's top talent within the state line. Currently, McNeil does not hold a rating according to 247sports, but his offer list clearly shows how talented he is on the field. Staying in the Peach State, Ohio State threw out another new offer yesterday to Suwanee, Georgia prospect Baylen Buchanan. Baylen, a 2016 defensive back, is currently committed to Tennessee, but with an offer from Ohio State now under his belt, we will see if it has an effect on his final destination. 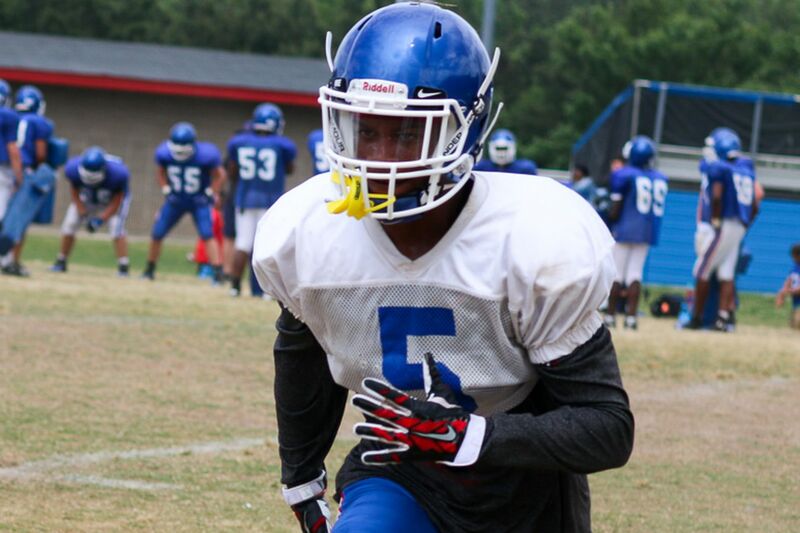 Buchanan is a 5'11, 190-pound defensive back that is currently ranked as a three-star according to 247sports. With many of Ohio State's original defensive back targets now off of the board, Urban and staff will certainly look in other areas to bring the top talent to Columbus. This coming Saturday is the U.S. Army All-American game which features several current Buckeye commits such as Jonathon Cooper, Demario McCall, Jake Hausmann, Michael Jordan, Drue Chrisman, and Austin Mack. Of the many Buckeye commits playing, one received a very special honor for game day. Fort Wayne, Indiana product Austin Mack was named a captain for the East squad for Saturday's game. This game will surely draw attention to Buckeye fans, as they will have the opportunity to view the future talent of Ohio State football and hopefully add to the 2016 class when Donnie Corley makes his decision during the broadcast. The Buckeyes would love to add Corley to the receiver room in 2016 and current commits have been in his ear all week during practices in San Antonio. Chris Evans of Ben Davis High School in Indiana has long been a Michigan commit. However, at one time, Evans mentioned that Ohio State was his "dream school." On Wednesday of this week, Chris finally received the offer he long coveted from Ohio State. In this rivalry, there is no love lost between Ohio State and Michigan, and it continues on the recruiting front. A visit would almost certainly have to happen for a "flip," but yesterday in an article with IndyStar.com Ben Davis head coach Mike Kirschner announced that Chris has plans to visit Ohio State the weekend of January 15. Things will certainly heat up if this visit in fact does come to pass.